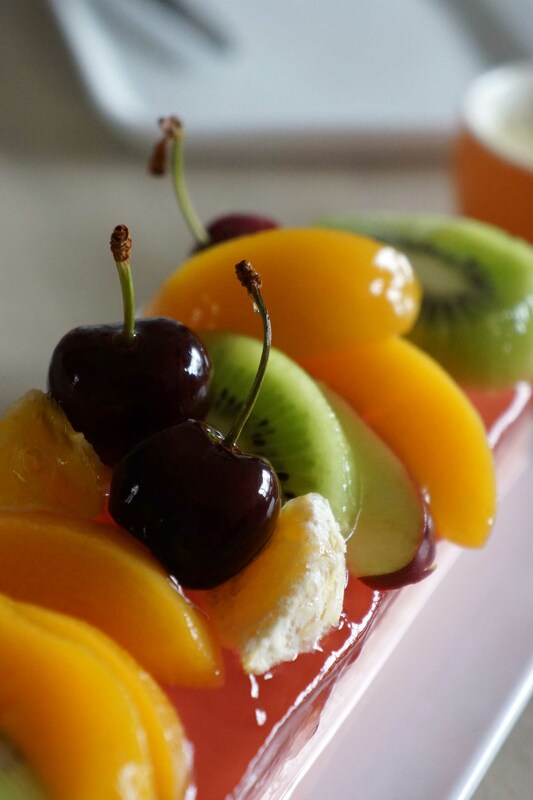 So After I cooked Semur that day then I decided to cook this pudding, combining creamy milk pudding under and juicy jelly on top and colorful fruits for topping. 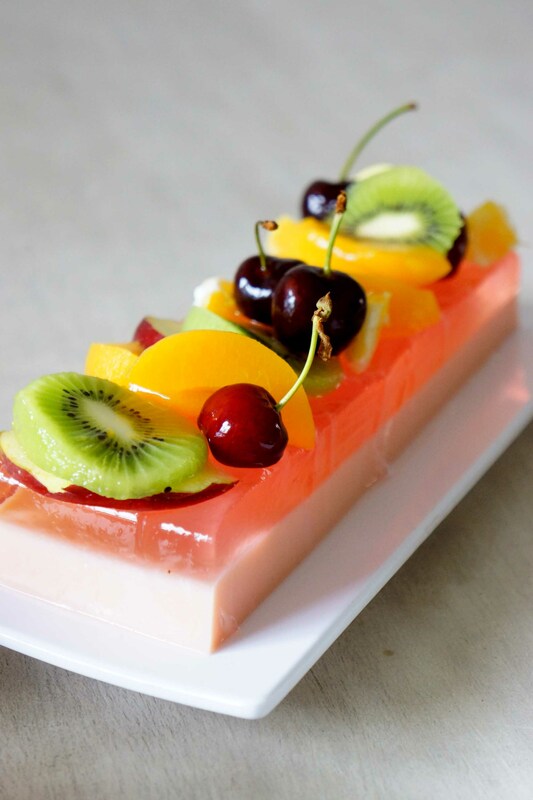 This kind of dessert is really easy to make and enjoying this after meal is yummy indeed! :D the simplest dessert that I really enjoy to cook and eat!. 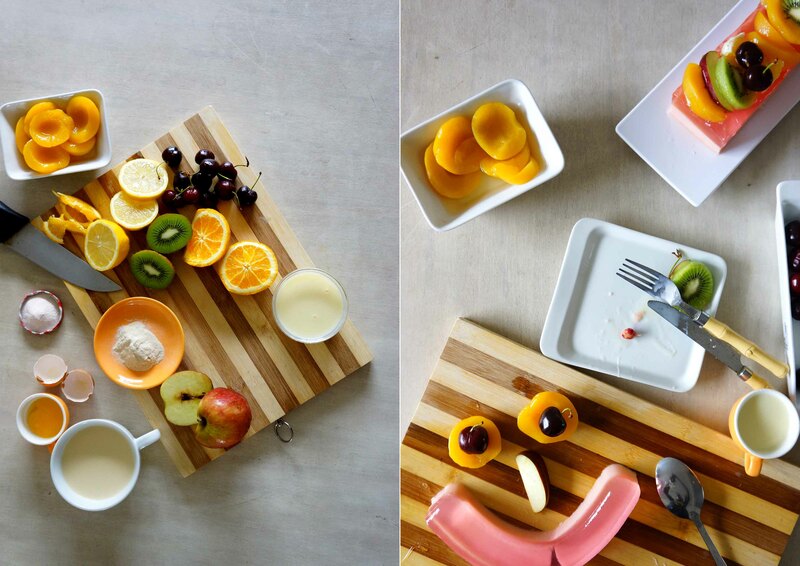 Those fruits made me giddy to capture more and more. The colors hah? Oh.